Leonardo da Vinci's painting of The Last Supper is one of Italy's most famous artworks and one of the country's most visited sights, making it one of the top sites in Italy you should book in advance. Order your tickets as soon as you know your date (you can do it up to 2 months in advance) to see Leonardo da Vinci's masterpiece inside the refectory of the Santa Maria della Grazie church in Milan. Only if people don't show up will you be able to stand in line and hope to get a ticket. Reservations are required all year and tickets can only be booked two months in advance but usually sell out very quickly. Tickets are free for those under 18 but a reservation is still required. Last Supper tickets from Select Italy can be ordered online up to two months in advance with charges in U.S. dollars. Since availability changes daily, if you don't see the date you want, you can check back again. If you find a date that's good for you, consider booking it right away because tickets are difficult to get and availability may change quickly. Their ticket price also includes a $5 gift certificate to be used for other tours or services from Select Italy. If you'd like to take a tour, or are too late to get an advance reservation, Viator offers a Milan Last Supper Tour with a local guide that includes guaranteed tickets. If you have a hotel booked already, you might try contacting them to see if they can get tickets for you. Sometimes hotels, especially higher end hotels, book tickets in advance for guests. Note: The Cenacolo Vinciano site is no longer selling tickets online. Only 20 to 25 people can view The Last Supper at one time, for a maximum of 15 minutes. You must arrive in advance of your scheduled time in order to be admitted. Visitors must be dressed in appropriate attire for entering a church. Santa Maria della Grazie Church is 5 to 10 minutes away from the train station by taxi or about a 15-minute walk from the Duomo. To get to Santa Maria della Grazie by public transportation, take the Metro Red line to Conciliazione or the Green line to Cadorna. Want to Know More About the Last Supper? 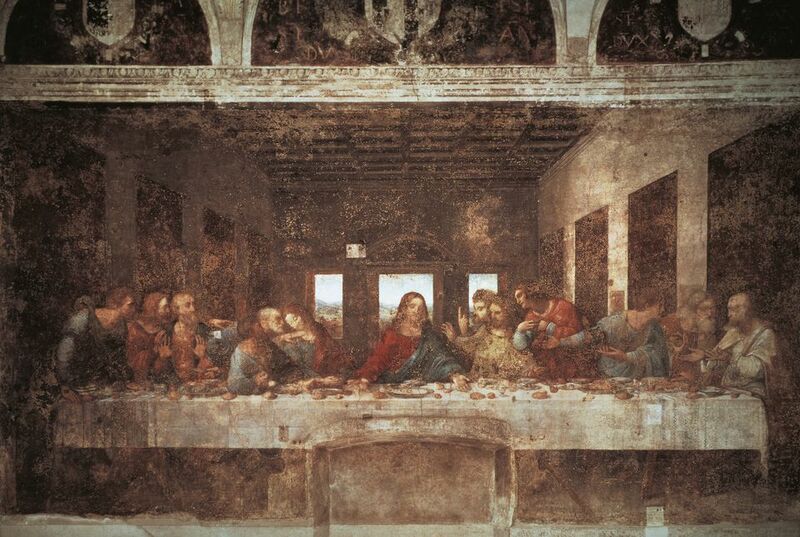 Leonardo completed his painting of The Last Supper, or Cenacolo Vinciano, in 1498 in the refectory of Santa Maria della Grazie church, where it still resides. Yes, the monks ate in the shadow of The Last Supper. The church and convent of Santa Marie della Grazie have been designated as a UNESCO World Heritage Site. Da Vinci left his mark with frescoes, drawings, and inventions in Florence and other Italian cities as well as in Milan. Follow the Leonardo da Vinci Trail in Italy to find out where to see more of his works.